Artist Info: It isn’t granted to everyone to be able to write the perfect country or Americana song. George Jones has done it, Dolly Parton has done it, Ryan Adams has probably done it, Johnny Cash has done it several times, and a couple more greats in the history of music have done it. Most of them have in common that they grew up in the southwestern part of the USA, while struggling to survive through their music. The trio Darling West were born and raised pretty far from the dusty streets and worn down cafes in Nashville, Tennessee, but still they’ve been very close to writing the perfect Americana song. 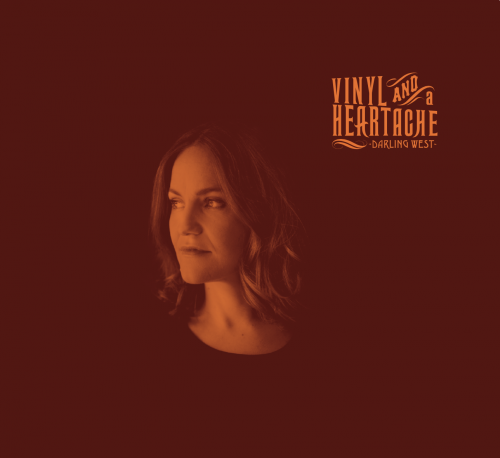 Both on their debut album from 2014, which was nominated for a Norwegian Grammy award, and on their new album, 'Vinyl and a Heartache,' which was released 26 August this year. Kjetil Steensnæs, and Tor Egil and Mari Kreken have country and Americana music in their DNA, and even though Norway have developed a lively and vital country scene the last couple of years, few are doing it so consistently and good as Darling West. The band have perfected their musical expression even more since the last time, and are close to contemporary artists such as Sam Outlaw, Gillian Welch, Kacey Musgraves, Ryan Adams and Jason Isbell, while the spirits of Gram Parsons and Emmylou Harris are careful watching over them.